The hype for today’s match grows. During yesterday’s episode of “Hotline League,” Steve Arhancet and Andy “Reginald” Dinh—owners of Team Liquid and TSM, respectively—laid down $100,000 on today’s match between the two League of Legends Championship Series teams. Since the start of the 2019 LCS Spring Split playoffs, the two team owners have gone back-and-forth in a series of trash talk, building up the hype for today’s match. Arhancet quickly followed up with a remark of his own. “Andy called it Team Solo Mid because it’s the only position they can afford,” Arhancet said. Related: Can TSM take down former teammate Doublelift and stop Liquid’s run atop the LCS? This isn’t the first time LCS team owners have suggested putting money on the line. Ahead of last year’s Spring Split, Regi proposed a charity bet to each of the team owners, challenging them to put $10,000 down with the winner of the finals taking all. 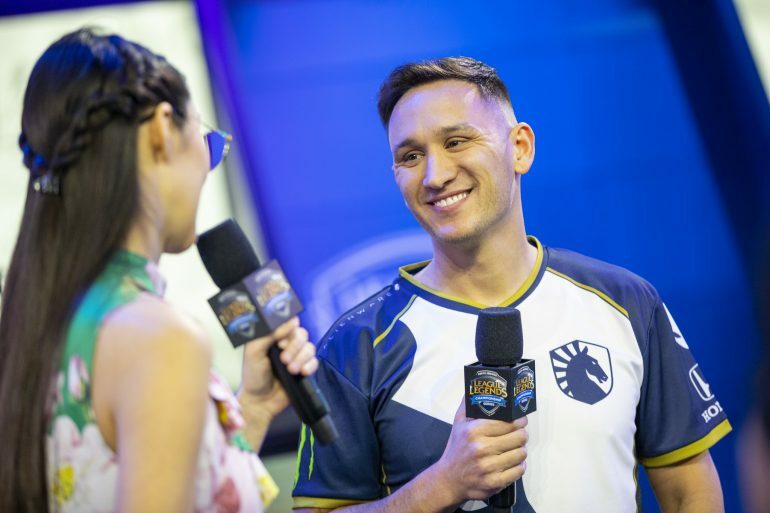 Now Team Liquid will look to secure their second-straight Spring Split championship when they go toe-to-toe with TSM today at 3pm CT to see who will take home the trophy—and $100,000 from their opponent’s pocket.